DUG Insight User ManualFrequently Asked QuestionsFrequently Asked Questions WellsHow do I load well data? DUG Insight reads well data from text files. Curve and log data should be stored in LAS format, with a single LAS file per well. The first time you import a well for use in DUG Insight, you will use the Well Import dialog to create a duwell file. The duwell file describes the well, and contains pointers to the LAS, checkshot, deviation, and markers files. You can also bulk import all well data to create a new well. From the Control Panel, open the Well tab. Click on the Add icon and select New Well. The New Well window will be displayed. Fill in all of the relevant information for your well and click Create Well. 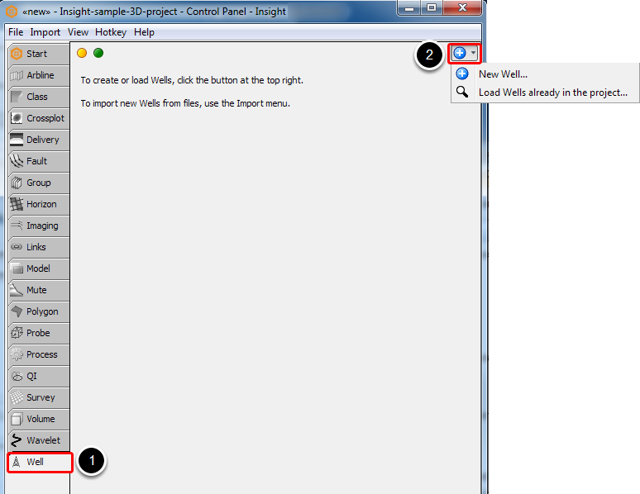 Once you have a duwell file, you can load it by clicking on the Add icon and select Load Wells already in the project. The time column label should be "TWT". No other time formats are accepted. The UTM X and Y columns should be labelled "UTMX" and "UTMY" or "X" and "Y", respectively. The marker name column should be a short description of the point. Spaces and commas are not allowed in the name. We recommend the use of underscore '_' or hyphens '-' to replace spaces. The marker name column should be labelled "Name". The marker depth column should indicate the datum, as above. Well data that was exported to OWX and ASC format can also be imported as a new well. 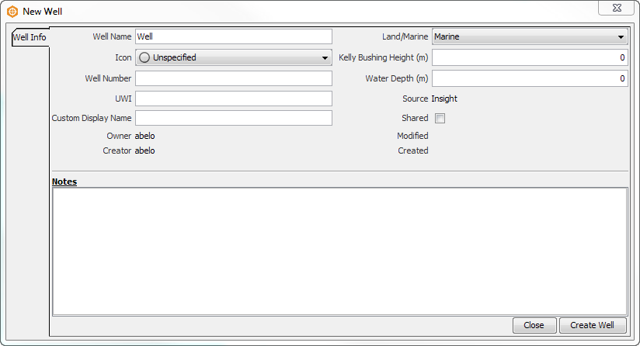 To bulk export well data, right click on the well in the Control Panel and select Export > All data (OWX format). To import this file, open the Import menu and select Well Data. Prev: How do I import or export faults?